We love Cool Sites! Submit Your Women's Softball Site Info and We Can Exchange! United States SLO-pitch Associations, Organizations, Leagues & Clubs. NCAA College Sports Rules, find softball. Needs Ideas for Softball Drills? Check out this helpful book! League Line Up lets you search for tournaments by sport. One of our favorite Olympic Players! Women's Softball Links-We gathered some links that pertain to the women's side of this category. For softball, decide if you are playing fast pitch or slow pitch. (read our article on Fast Pitch Vs. Slow). Next, for equipment, make sure you are geting softball cleats, and not soccer cleats. Gloves, the softer the better, and when buying a bat, check out your league's restrictions. Many bats have been outlawed. Alan's College Softball Blog-Summarizes major developments in NCAA Division I women's softball, with a focus on the Big 10, Big 12, Pac 10, and SEC. Independent Softball Federation-organizes, sanctions, and governs competitive participation in various formats and classifications through league and tournament play. International Softball Association-The ISF organizes and conducts world championship competitions and qualifies teams for Olympic softball competition. Open Fields Softball.net-tips, drills, tournaments. Softball Search-The A-Z 'Strictly' Softball Search Engine. National Sports Clinics-educating softball coaches at all levels. Softball Camps.com-provides elite softball camps and fastpitch clinics nationwide. What is the history of softball? "Holy Cow! She hit that foul! So MOOOOOve it over, I said, MOOOOOVe it over!" Find this and many more at Softball Cheers-hee hee. My Fast Pitch Trainer-maintain strength during the long season. Women's Fast Pitch Softball-Official site of women's amateur softball. 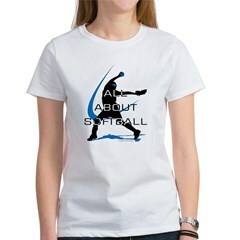 Fastpitch Softball Blog-Fastpitch softball news, tips, and AllAboutFastpitch.com updates.